Do you know your risk of getting Type 2 diabetes? 12.3 million people in the UK are at increased risk of developing Type 2 diabetes and anyone can get it. Livewell is encouraging everyone to get a free blood pressure check and chat to an expert during Type 2 Diabetes Prevention Week (1-7 April). 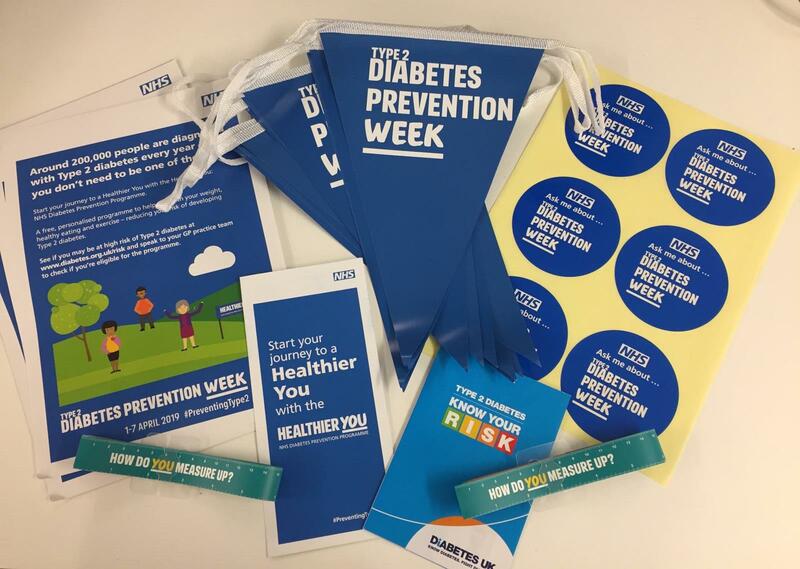 The joint campaign from NHS England, Public Health England and Diabetes UK aims to raise awareness of Type 2 diabetes, at-risk groups and how to prevent it. It doesn’t take long to find out your risk and could be the most important thing you do this week. Age - Your risk increases with age. You're more at risk if you're white and over 40, or over 25 if you're Afican-Caribbean, Black African, or South Asian. Family history - You're two to six times more likely to get Type 2 diabetes if you have a parent, brother, sister or child with diabetes. Ethnicity - Type 2 diabetes is two to four times more likely in people of South Asian descent and African-Caribbean or Black African descent. High blood pressure - You're more at risk if you're ever had high blood pressure. Overweight - You're more at risk of Type 2 diabetes if you're overweight, especially if you're large around the middle. Find out your risk in only three minutes.